The Nissan Institute of Japanese Studies. 27 Winchester Road, Oxford OX2 6NA (see our contact and building access pages). The Nissan Institute of Japanese Studies is located in the grounds of St. Antony’s College on the Woodstock Road, which is one of the two main roads leading from the City Centre northwards. Since it is some way from the rail station and bus station, we do recommend that visitors take a taxi. However for those who are keen to walk the following directions apply. Taxis are recommended from the bus station if you have luggage. To walk from the City Centre to the Nissan Institute will take between 15 and 20 minutes. Many local bus stops are located on Magdalen Street (outside the Odeon cinema), and national buses arrive at Gloucester Green Bus Station on George Street. From there you should make your way to Magdalen Street and from there you will reach St. Giles’. Keep to the left-hand side of St. Giles’ and follow the road north. This becomes the Woodstock Road eventually when you have passed St. Giles’ church (on the right) and Brown’s Café (on the left). Walk straight up the road, passing the Radcliffe Observatory Quarter and Green Templeton Collge on the left, until you reach a small group of shops (on the left). The entrance to St Antony’s is about 50 metres further up on the right-hand side of the road. 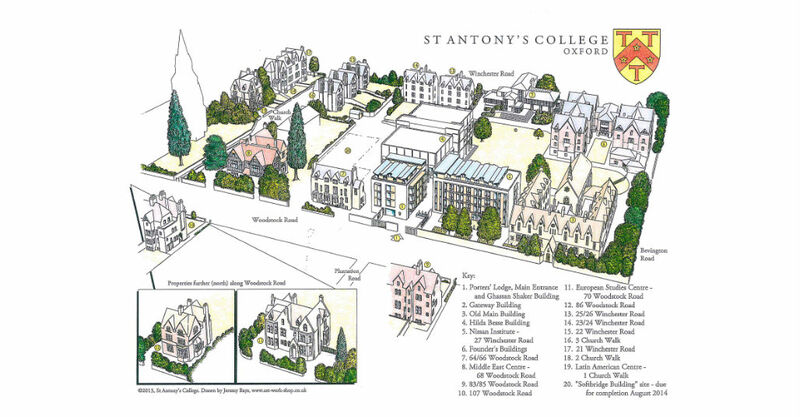 The Nissan Institute is in the grounds of St. Antony’s College. Follow the signs marked Lecture Theatre. Go up the steps and through the automatic door, you are now in the Nissan Institute. The Institute Office is located on the 1st Floor. Taxis are recommended from the station, but if you are happy with a 30 minute walk, turn left as you leave the station area. The Royal Oxford Hotel is directly in front of you; keep left and walk along Hythe Bridge Street. At the end walk straight across into George Street. At the end of George Street the department store Debenhams is on the left. Turn left into Magdalen Street and walk northwards towards St. Giles’ and Woodstock Road and then follow the instructions given above. The 14 bus connecting the railway station to the John Radcliffe (or JR) hospital has a stop very close to the College by Bevington Road. For timetable information, see http://www.stagecoachbus.com/ and search for Oxford in the Location drop-down and 14 as the Route No./Name. Two companies run frequent buses, 24 hours a day, between London (Victoria Bus Station) and Oxford: The Oxford Bus Company (tel: +44 (0) 1865 785400) and the Oxford Tube (tel: +44 (0) 1865 772250. 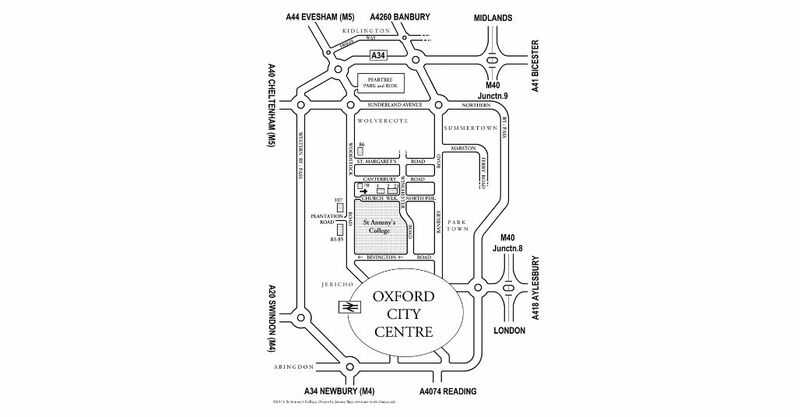 There are also direct and regular services to Oxford from Heathrow and Gatwick airports run by the Oxford Bus Company (see above contact details). Coach services from other parts of the country are also available. See the National Express web-site for more information. 9. Once in Bevington Road, turn right in to Winchester Road. There is limited street parking for up to one hour. 4. Follow directions from 4-9 see above. 7. Once in Bevington Road, turn right in to Winchester Road. You should be able to park your car somewhere on Winchester Road, Canterbury Road or Bevington Road (for a limited period during the day).